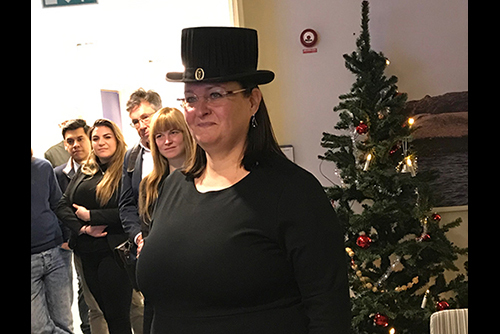 On the 17th of December, Sari Virta defended her doctoral thesis Managing Tensions in Creative Content Development Work: Cases from the Media Industry. 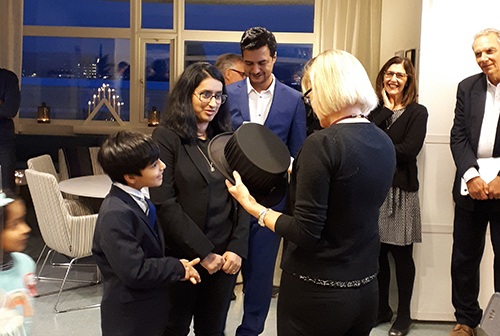 Sari Virta is completing a double-degree PhD between Jönköping International Business School (Business Administration) and University of Tampere in Finland (Media Studies). She has extensive experience of working in the Finnish media, and her dissertation focuses on the dynamic relationship between current and future business development, where various tensions become management issues in daily creative work. Such tensions can, through good leadership, be transformed into creativity. Her research shows that organisational tensions pose an especially demanding managerial challenge to large established companies that are facing disruptive change, which radically alters their operational environment. But through successful management, these tensions can enhance creative work in organisations. Sari Virta has studied three major media organizations: a private commercial company, a public service company and a newly formed media cluster (an agglomeration of media activities, that co-locates for mutual advantages). “Instead of fighting or ignoring organisational tensions, management need to identify, acknowledge and work with these tensions. To support creative work and develop new content, it is not advisable to try to copy ‘best practice’. In this fast-changing industry you are more likely to succeed if you find a way to manage the inherent tensions. To achieve this, one solution is for media organisations to collaborate in order to develop value-creating creative clusters,” concludes Sari Virta. On the 18th of December, Khizran Zehra defended her doctoral thesis Resource Mobilization among Informal Entrepreneurs: A Case of Event Planning Industry of Pakistan . Khizran Zehra’s thesis studies resource mobilization among informal entrepreneurs and is based on 15 cases from the event planning industry in Pakistan. The study found that resource mobilization among informal entrepreneurs is collaborative rather than competitive. 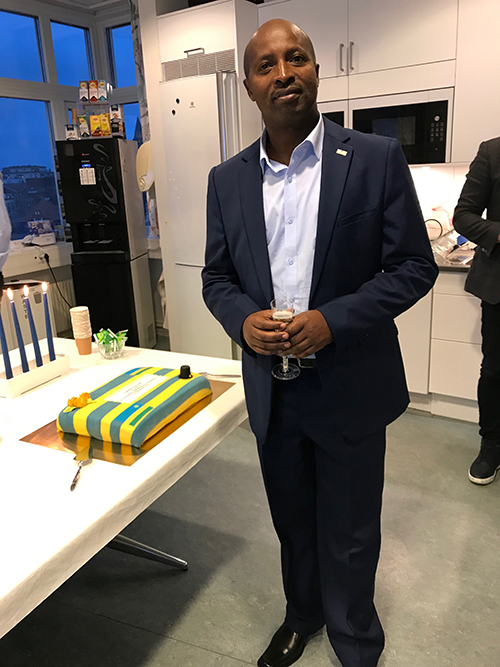 On the 19th of December, Jean Bosco Shema defended his doctoral thesis The Adoption and Implementation of lnternational Financial Reporting Standards (IFRS) in Rwanda: An Integrated Approach. In his thesis, Jean Bosco investigates how IFRS have been adopted in Rwanda and sub-Saharan African countries. His research suggests that the implementation in Rwanda was affected by the country’s economic context and need for reconstruction, but also by the fact that Rwanda has different accounting traditions. It was also affected by the political context, including the colonial legacy, Rwandas regional politics and the accounting initiatives taken up by the independent African countries,” says Jean Bosco Shama. “The adoption of IFRS in Rwanda was done after intense preparations. It was closely supported and monitored by the government of Rwanda since it was hoped that the new standards would be a catalyst for the government’s economic development goals. The adoption of IFRS also facilitated by the government of Rwanda’s desire to develop and strengthen the accounting profession.